Father Barry also set two a small homes at 713 Commercial Road for girls under 10, and another at 715, next door, for young boys, each of the each under the charge of a matron. In 1890, St Joseph's was relocated to Holtwhites Hill, Enfield, where a house and two acres of ground had been acquired for £4,000. Following the move, the Commercial Road homes were closed, and the Rose Lane property kept for a short time as a receiving home, eventually being given up in 1893. 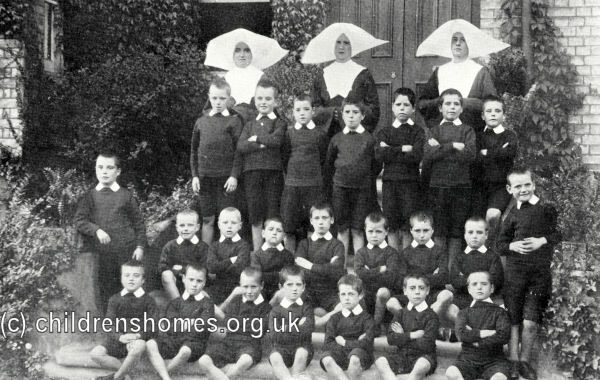 The Enfield establishment, whose running was taken over by the Daughters of Charity of St Vincent de Paul, could accommodate up to 180 boys aged 5 to 12 years at their date of admission. In 1899, the Home became part of the Westminster Diocese's Crusade of Rescue organisation. The Enfield Home closed in 1981. None of the Home's premises survives. The Enfield site is now covered by the modern housing of John Gooch Drive. Catholic Children's Society (Westminster), [formerly the Crusade of Rescue] 73 St Charles Square, London W10 6EJ. To enquire about access to the records of a child who grew up in one of the Society's homes, fill in the request form on the Society's website. Has some files but no registers.